The GeForce GTX 1660 Ti is built with the breakthrough graphics performance of the award-winning NVIDIA Turing architecture. With performance that rivals the GeForce GTX 1070, it's a blazing-fast supercharger for today's most popular games. The Asus NVIDIA GeForce GTX 1660 Ti DUAL OC empowers NVIDIA's latest GPU with a serious cooling solution, setting the stage for high-stakes gameplay. An automated production process ensures reliability, tried and true fans let Turing's performance shine. And with an arsenal of utilities that allow you to customise and tweak this powerful hardware, you call the shots. 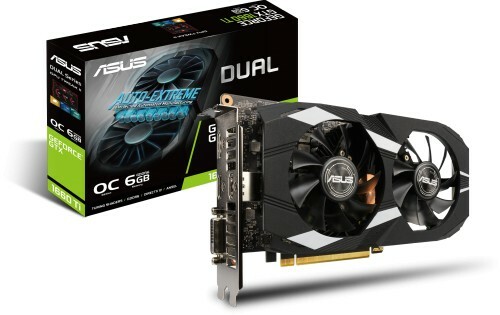 With extensive testing the Asus NVIDIA GeForce GTX 1660 Ti DUAL OC has been rigorously put through its paces to make sure it's at it best, ready for you. This GTX 1660 Ti card is a perfect balance of simplicity and performance and with IP5X dust resistance protection will last longer too. Game at higher frame rates with NVIDIA G-SYNC and eliminate screen tearing allowing you to enjoy games to their fullest. 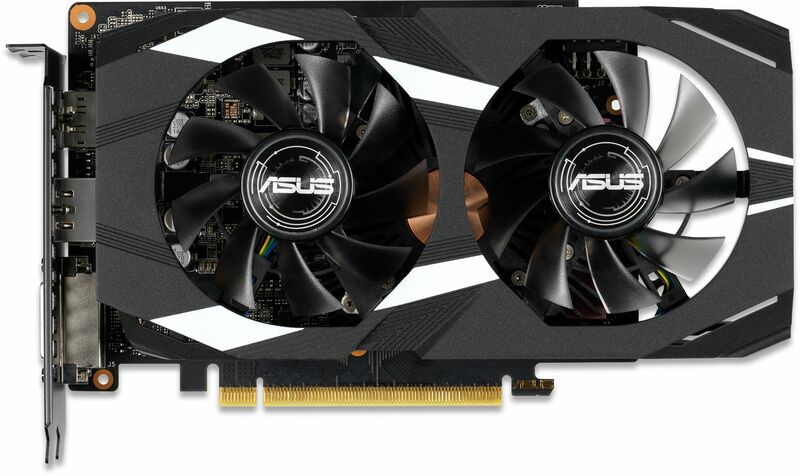 Delivering the latest NVIDIA Turing gaming experience in its purest form, the Asus NVIDIA GeForce GTX 1660 Ti DUAL OC melds performance and simplicity like no other. The Dual GeForce GTX 1660 Ti opts for substance over style, the perfect choice for a well-balanced build so buckle up and engage with the latest NVIDIA GTX card. All ASUS graphics cards are produced using Auto-Extreme Technology, an automated manufacturing process that sets new standards in the industry by allowing all soldering to be completed in a single pass. This reduces thermal strain on components and avoids the use of harsh cleaning chemicals, resulting in less environmental impact, lower manufacturing power consumption, and a more reliable product overall. ASUS's extensive performance and stress tests begin with the very latest chart-topping titles — like Fortnite, League of Legends, Overwatch and PlayerUnknown's Battlegrounds. ASUS also carry out reliability trials that include a 144-hour stability test and a series of 3DMark benchmarking runs to ensure the card performs well when pushed to the limits. The GeForce GTX 1660 Ti features NVIDIA G-SYNC display technology for the smoothest and fastest gaming imaginable, eliminating screen tearing and minimising display stutter and input lag. Enjoy the latest first-person shooters, sports and action-adventure games at super-fast frame rates, even at the highest graphics settings! The ASUS GPU Tweak II utility takes graphics card performance tuning and to the next level. It allows you to tweak critical parameters including GPU core clocks, memory frequency, voltage settings, and more with the option to monitor everything in real-time through a customisable on-screen display. From fine-grain performance tuning to advanced fan control, GPU Tweak II has all the tools you need to get the most out of your graphics card. The GTX 1660 Ti GPUs are powered by the Turing Architecture, this gives you 6x faster performance over previous-generation graphics cards. Turing uses a new 12nm manufacturing process bringing the latest most powerful GPU architecture to the GTX series.